Thanks to many volunteers and donors, Operation Warm was a big success! 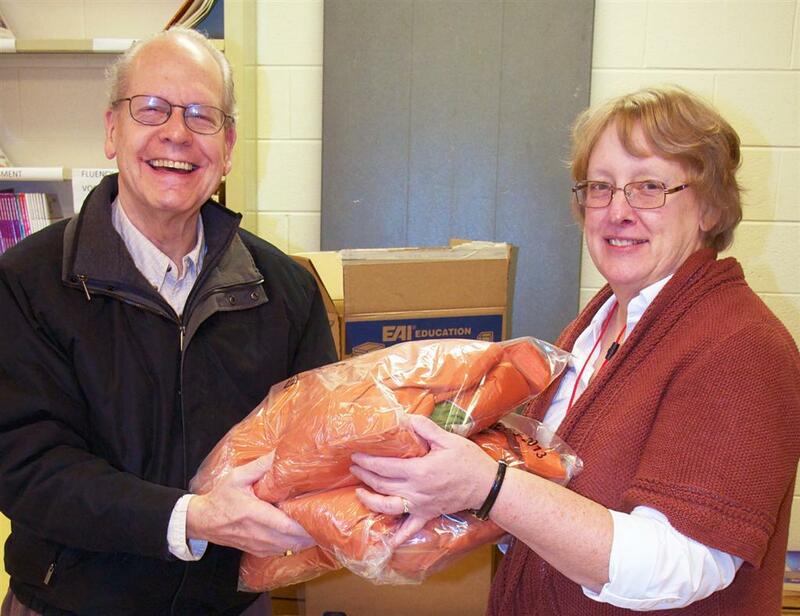 Once again this year the Lake Forest/Lake Bluff Rotary Club provided new warm coats for children without adequate winter outerwear through a project called Operation Warm. The Rotary Club has sponsored this worthwhile project for the last several years. This year’s chair was David Schafer, the Club’s community service director. The Club received a $1,000 grant from Rotary International to jumpstart this year’s drive. The Rotary Club of North Chicago made an additional donation of $1,000, many of the Lake Forest/Lake Bluff Rotary Club members made individual donations, and the Club received matching grants from the Rotary District level. For the first time this year, an appeal was made to the community at large in an effort to assist more children, and a number of generous donations were received. Over $9,000 in donations were received this year, funding the purchase of more than 500 coats, which were distributed to children in North Chicago and Highwood through the schools and the Nuestro Center. On December 13 the coats were delivered, and Club members pitched in to unpack, sort, and distribute them to the children. Making the deliveries to the schools was a memorable experience for all the volunteers, reaffirming the importance of this project. 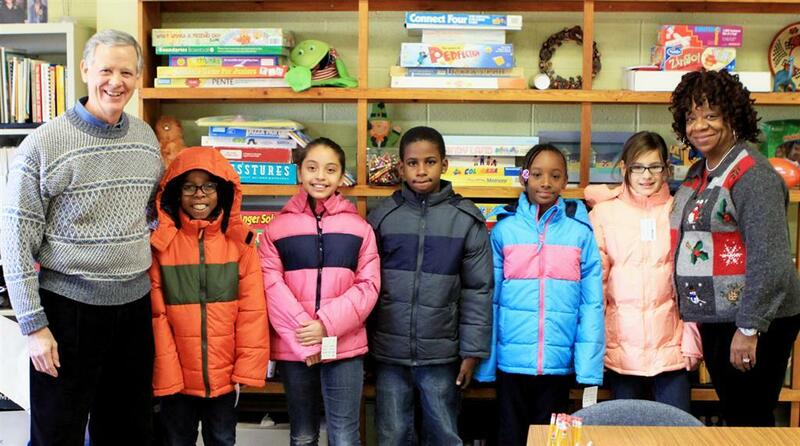 Club member Bill Summers (left) and Forrestal School principal Stacey McNeeley (right) with students in their new coats. Club member Russell Clark with South School principal Carol Lombardi.